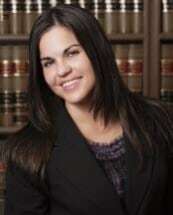 Caroline Simone is a successful negotiator and an aggressive trial lawyer. She is not just an average defense attorney. Instead she focusses on helping her clients throughout the legal process so that they come out of these experiences in a better place than where they began. Caroline has been a competitive athlete throughout her life. That competitive spirit fuels her to tirelessly defend her clients and not shy away from challenging cases. Having represented both sides in the criminal justice system, she understands the strategies used by her opponents. She was a prosecutor in the Denton County District Attorney's Office for more than four years, during which time she gained significant trial experience and learned how to think like a prosecutor in the courtroom. Now, as a defense attorney, she has an experienced perspective that enables her to thoroughly understand criminal cases from every angle. The experience and success Caroline has achieved in her eight years of practicing criminal law have garnered respect among her legal community, which helps when she’s negotiating with current prosecutors. Those skills, combined with her ability to fight relentlessly for her clients in trial, are what make her such an effective defense attorney. She is Board Certified in Criminal Law by the Texas Board of Legal Specialization and has gained recognition in her industry as a Rising Star/Super Lawyer. Caroline Simone, Counselor and Attorney at Law, defends clients throughout the Dallas, Denton County and the surrounding areas, including those in Lewisville and Carrollton.